There are many famous brands using WordPress. Sony Music, Renault, Vogue, Facebook, The New York Times and the BBC. There is an excellent Showcase page on the WordPress site that features many of the great sites using WordPress. 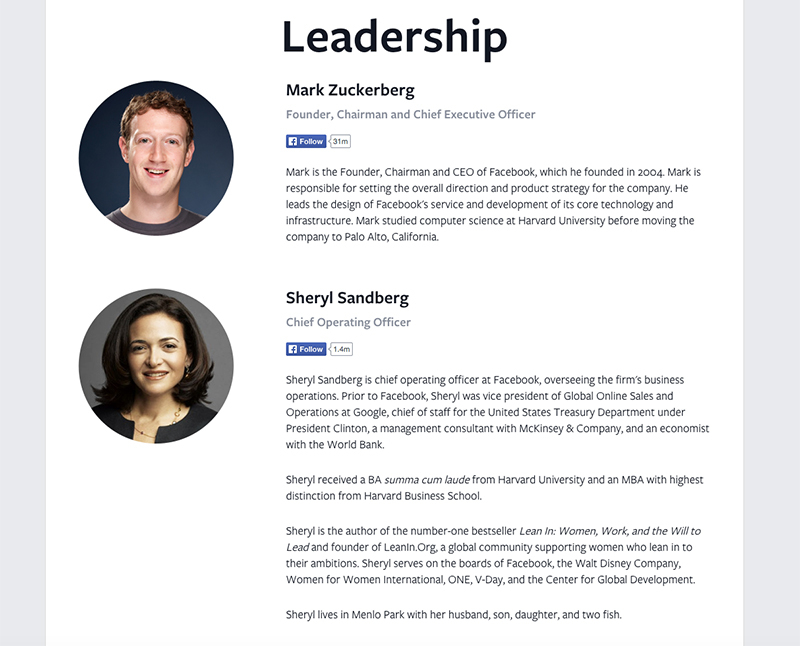 A favourite of mine is Facebook’s Company info page, in which Mark Zuckerberg is just another humble CEO, on just another humble About Us page on the internet. 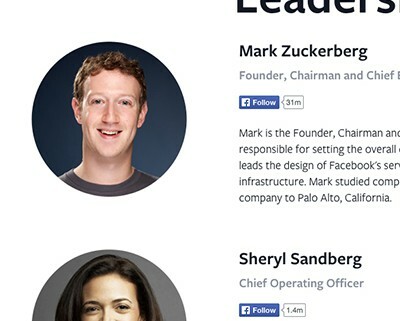 Sheryl Sandberg even mentions her fish. So with around 20% of the internet, and 70% of the CMS market, and growing, if you are not already using WordPress, you really ought to, come your next new website. Important information on a forthcoming Google update, and why you must have a responsive site. I still consider myself new to web design. In the sense of how fresh and excited I still feel about the whole process. However in July of this year 2015, it will be my tenth anniversary of starting to make my first website. I was asked by my sister if I would make her a website, and logo, as she was starting a Bed and Breakfast (small hotel) in Inverness in the Highlands of Scotland. Struggling as a freelance illustrator, working in other jobs to pay the bills, I had thought about trying web design for some time, but hadn’t known how to start. So with my sister’s deadline fast approaching on ‘can you do this or not? !’, I knew if I didn’t get it to work, I would never become a web designer. And then the words ‘this is a test’ appeared on a page on the internet that I had put there. I was connected. I knew instinctively that was very significant. I could do it, and while there would be problems to solve ahead, this would be the beginning of something big for me. And I was right. I then began making a site in HTML and CSS. And then I remade it, and I think there were three definite versions of that first site. I discovered I could do it, enjoyed it, and enjoyed going back and fiddling with it, learning more, adding and removing, fine tuning until it was just about right. And the whole process interested me. SEO, functionality, the graphics, the look, the feel. I just kept going back, and re-working and re-working. While working on the hotel website I also began work on my own portfolio site. You are reading this on that site. For the next few years together with graphic design (which I had experience from as a student many years previously) I worked and worked until I got better and better. I even dropped illustration for a couple of years to concentrate on them. I then heard of something called a CMS. 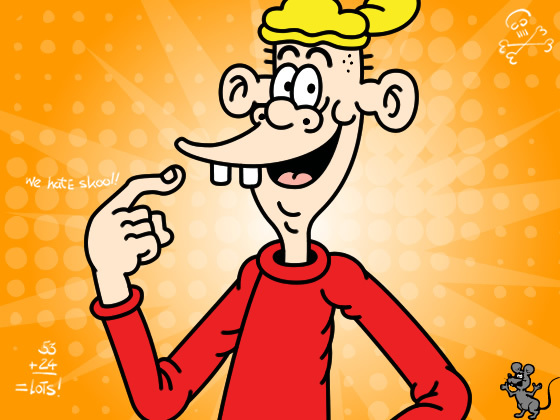 I began with Joomla, and then started a cartoon blog for myself in WordPress. I preferred WordPress, although just a blogging platform at the time, it just felt good. This lead to me working in web bureaus in Copenhagen, most notably and enjoyably Brand X where I got to work under and learn from the exceptionally talented duo of Jason Lambert and Adam Hill, before making the jump into freelance. www.bannermanbandb.co.uk/ My sister’s Bed and Breakfast in Inverness. www.iain.dk The cartoon blog, only recently restarted. www.voiceso.com Adam Hill’s voice over site. And I mentioned the article to my sister. Turned out her Bed and Breakfast will be nine years old in the summer of 2015. So nine years then. At the time of writing eight and a half. There are some great plugins that can improve your site. Here is how to add one to your WordPress site. In the back end > plugins > add new, put the plugin you are looking for into the search box, install and activate it. Easy. Some work immediately on activation, some need certain aspects set up on their set up page. Somewhere in the backend left hand sidebar, will be the set up page for the plugin. Look under ‘Settings’ if you can’t see it. A word of warning on plugins. They can cause problems on your site. Don’t bring in too many (I’d ay about 5 max, less is better). Check to see if a plugin is popular by downloads, or has lots of complaints in their forum before bringing it in. If something goes wrong with your site in WordPress it is almost always a plugin that is responsible. Not necessarily a bad plugin, it can be two plugins are conflicting with each other, or with your theme. If something goes wrong with your site, start by de-activating your plugins one by one, and checking if the problem is resolved. If that doesn’t solve it, deactivate them all together. If that doesn’t solve it, change your theme to one of the default WordPress themes you got with the install. Between those steps, almost all issues will be solves. You should be able to isolate, what will almost always be a problem plugin, and then delete it. Whenever the red symbol appears that a plugin needs updating, update it. This also goes for WordPress, keep it updated, and your theme. I recommend you should have WordPress SEO by Yoast. Adds a box below each article in the back end of your site for you to fill out for SEO. It teaches you how to SEO each article or page through choosing a key phrase for that page or article, then adding it to the Title, description and in the content. It effectively teaches you to write better SEO content. I also recommend Disqus plugin for comments. At the bottom of this article you can see my comments section is with Disqus. It allows visitors to log in with social media, or Disqus itself, and can interact with other blogs. You occasionally meet it on large scale sites such as The Daily Telegraph. Whether your blog is part of your business or you are blogging for fun, getting going with writing content is often the hardest part of the process. Watching this will give you some good tips, and should leave you feeling energised. The two main points I took from the video (and there are lots) is ‘you haven’t really started until you have written a hundred articles’, and ‘just press publish!’. Bill is also a fascinating character, and Troy at WP Elevation is a great interviewer on all things WordPress. If you are still struggling to get going with writing for your blog, advice from Morten Rand-Hendriksen of lynda.com is to set aside thirty minutes once a week at the same time. What ever is written after 30 minutes, just publish. This way content will build steadily, and deadlines concentrate the mind. From my experience the regular addition of content also makes me more alert for other possible subjects for blog articles. It is important to understand it is unlikely you will know how your writing will be until you get going. It will evolve over time. You can always delete or edit old articles if you become uncomfortable with old content. 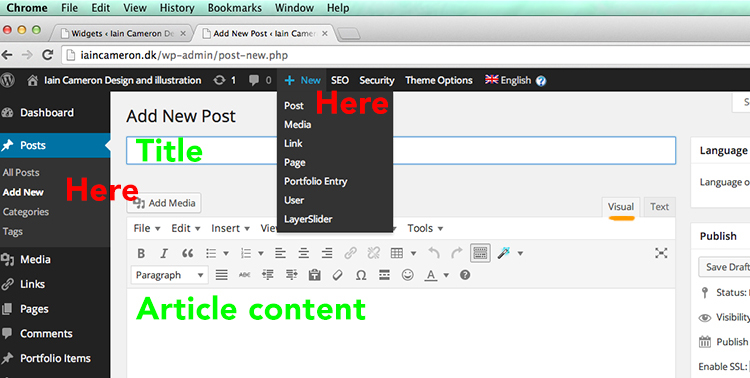 This article will explain how easy adding an article in WordPress is. How to add images, a link and format text. All with a view to maximum readability and for search engine optimisation. A post relates to a new blog article, while a page is a permanent fixed page. Once you are logged in on your Dashboard page, you need to go to New > Post. There are two places to do this, both marked in red below. The top area is for the title. The larger box is for the article content. Ensure your window looks like the window below. If it does not, click ‘Visual’ marked in orange, to see the visual editor. It is recommended you break up your text with sub headings. This creates an easier to read visual experience for the reader, and gives Google a further idea on how best to index your site. H1 will be the biggest going down to H6 your smallest size of sub heading. H1 to H3 are the most important sizes for Google. (Other search engines are available). Highlight the text you wish to make into the heading, then go up to the drop down ‘Paragraph’, in the graphic above ‘Paragraph’ is just above the word ‘Article’ in green. In the drop down will be all the options, choose ‘Heading 3’. Just above this area is ‘B’, which in the way described above will make the text bold. I, which will make the text italic ‘. You can try the other options to see what they do. If you wish to colour a word it is the tool bottom row, third from right. You really should not need this, ever. Select the text you would like to link then click on the link icon. It looks like a linking chain. The window below appears. Simply add the URL (link address) to the box next to URL. Add a title if you want – helpful for SEO. 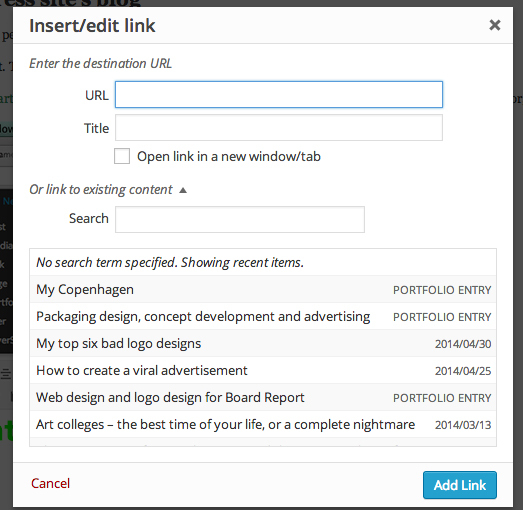 If the link is to a website other than your own, click the Open link in a new window/tab box. This ensures the viewer still has a browser window with your website open. Then click ‘Add Link’. For both the link to a website and to an email address always check them on the site afterwards. Just above the formatting tools and below the article title is a box marked ‘Add Media’. Click it. 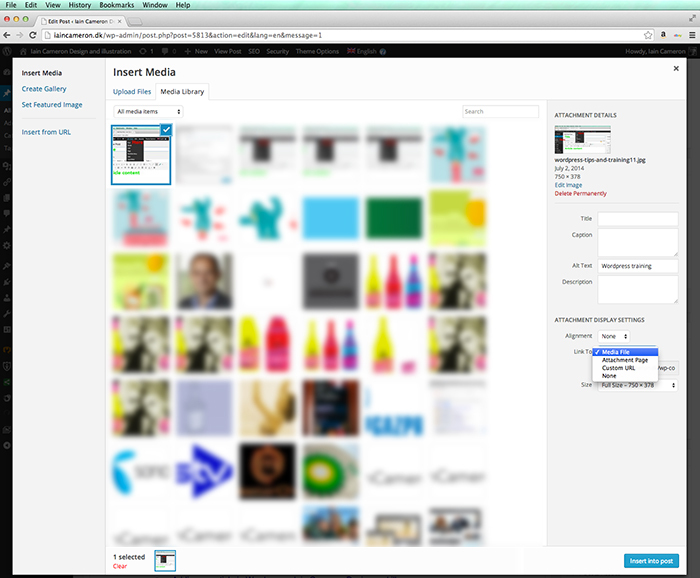 If your image is already uploaded in your site, you can find it in your Media Library. If it is not, click Upload Files (top left corner just below Insert media) to navigate to your computer and find the image you wish to add. For SEO purposes it is best to have the name of your image as something descriptive of the image’s content/article’s subject matter. The image above then appears. In the right hand column the text field ‘Title’ is automatically added. Remove this as it is the annoying rollover description tag. Add in the Alt text the description. Where I have written ‘WordPress training’. Again this is for Google. Further down on the right hand column is ‘Link to’. The default is ‘Media file’. Which means when clicking on the image it will either open the image in a page of it’s own, or possibly open the image in a lightbox depending on your theme. I do not want this so I change it to ‘None’. Depending on how your blog is set up, you can now press ‘Publish’. However typically my sites are set up so certain categories send the articles to different areas of the site. This also gives readers the option of reading articles on one subject matter. Categories is in the right hand column, normally the second box under ‘Publish’. If your article is not finished use the ‘Save Draft’ option. Your website will save your article for later, without publishing. Once you have published you have the option to change the date of publication if need be. In the same box as the Publish button. Which will now be entitled ‘Update’. Working and living in Brønshøj as a web designer has it’s advantages. Close enough to the City Centre by bike for meeting my city based web design clients, plus with the beautiful natural area of Utterslev Mose close by, not to mention the rather magnificent Brønshøj BK (Danish first division football team) on my doorstep. Brønshøj BK have the most fantastic stadium. Where I grew up in Scotland I followed Highland League football, and it reminds me of one of their stadiums. Which is not an insult. 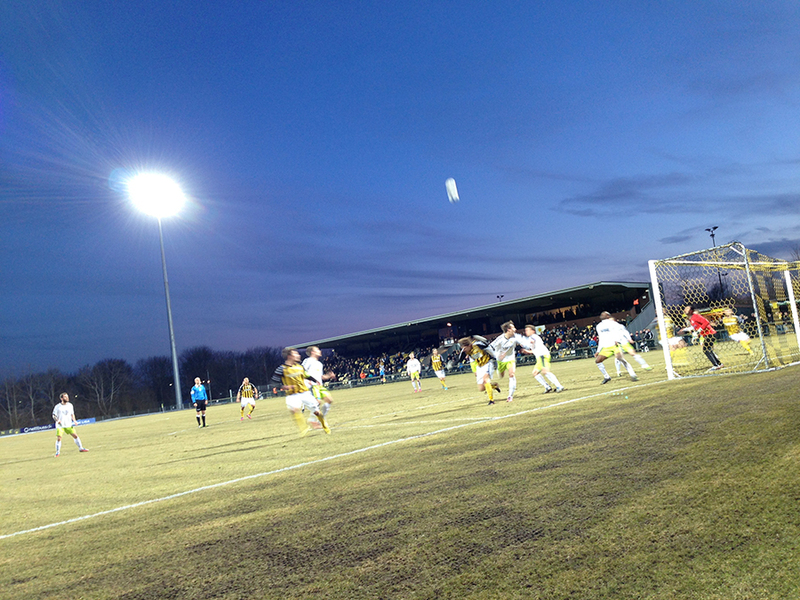 It’s the combination of relaxed atmosphere, and passionate locals in a one stand stadium. Plus the small bars dotted around the pitch, the very definition of hyggeligt! 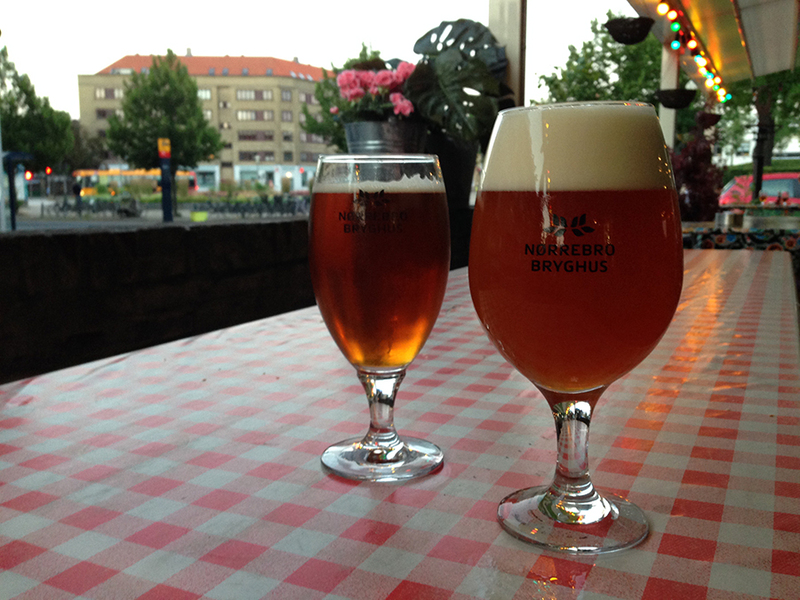 A beer will cost 18DKK for a bottle, and the draft is 30DKK. Entrance is 70DKK. The stadium recently had new floodlights added which have added even more to the great atmosphere. Getting to Brønshøj stadium is relatively easy using public transport from the city centre, bus 2A from the main station or main square will take you very close. Just ask the driver or another passenger where to get off. If you fancy a beer after the match before heading back into the Copenhagen city, there’s Staalvand, a modern, bohemian cafe bar at Brønshøj Torv, and Gert’s Vinstue, a proper Danish pub. 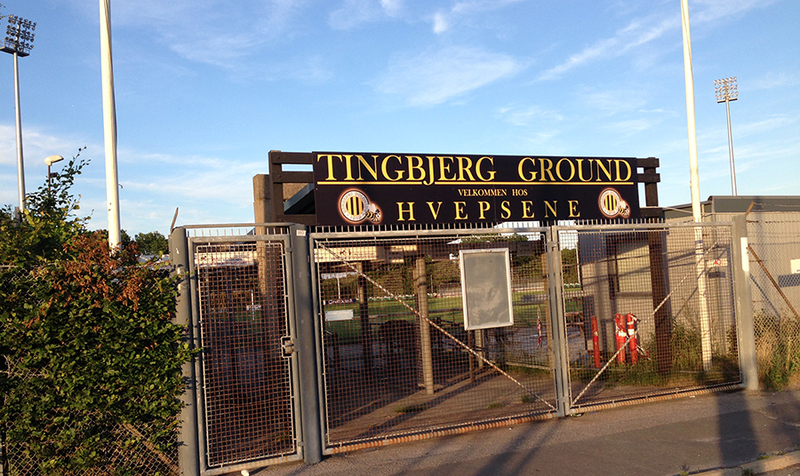 Here is a link to an excellent article by a Swansea supporter on his visit to the stadium, entitled Lost in Brønshøj. The word blog has different meanings for different people. All it now means, is a serious of articles featured on a page, in reverse chronological order, the latest article at the top. Firstly it is very good for search engine optimisation (Getting your site a higher placing on Google). Google and the other search engines, love new content. This shows to search engines your website is ‘active’ and therefore relevant. In addition each individual article, or post as WordPress refers to them, can be optimised for different key phrases your potential visitors may Google. Secondly a blog is a great way to give more information on yourself or your company. A chance to further brand yourself, and allow those interested, a chance to know more about your services. 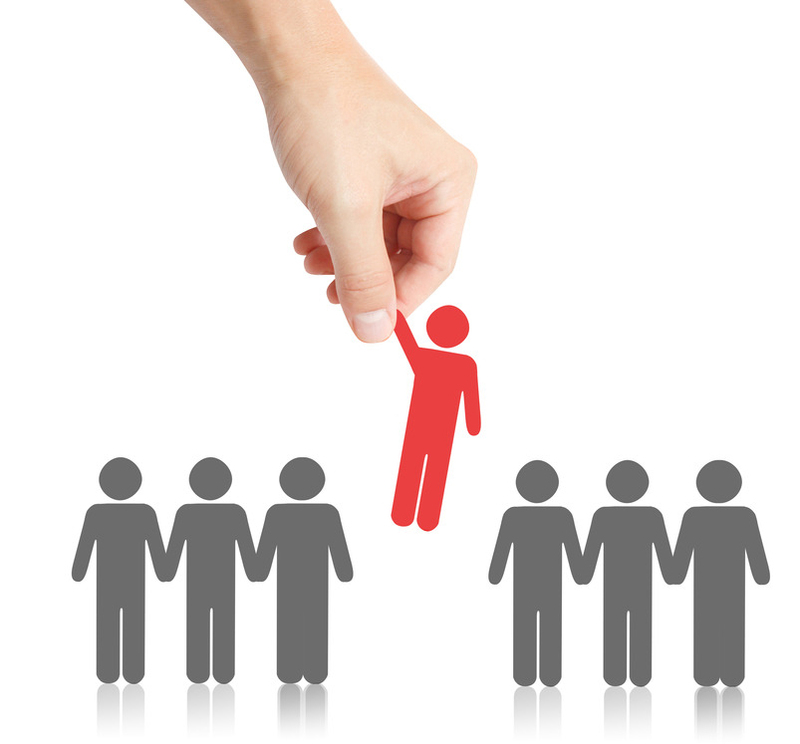 The more people know, the more they will trust you, and trust in your services. Thirdly, a blog is a great way to integrate your website with social media. By posting a link of one of your articles to your Facebook business page, you can draw in visitors to your site. Once in your site, where your brand rules, not Facebook’s, your visitors will take a closer look at your services. There are many possibilities, depending on your business. It can be an Events page, with what’s coming up, and telling of recent events. It can be a diary of how your business is going, it can give additional information on certain of your products, or you can use it to write as an expert in your field. That’s a common problem. The only way is to just write, and see how it develops. It will only take shape, and find it’s direction, after quite a few articles. So don’t be precious. You can always delete or edit articles later, and you are not going to get a bad grade from a nasty teacher. The more you write, the easier it becomes. As I’ve recently opened for business as a freelance web designer, I now have a far better idea of how difficult it is for a business in choosing a web designer for their business. Firstly business owners are experts in their field, and probably a number of others. But very few have much knowledge as to the often very confusing technical world of web design. So I will use this post to explain a little about what we do. CMS stands for ‘content management system’. Back in the old days of the web, about six years ago – I know! – a business would contact a web designer and they would build a website with your content in, and then it was finished. If you wanted a change to your content, you’d contact the web designer and he or she would update it. So CMSs were created to allow a business to change their own content. A CMS will have a log in, which allows you, the business owner, the ability to go into what is called the ‘back end’ of the website, and edit and add new content. The ‘back ends’ are now very user friendly, and with a little training this is relatively simple to do. There are a number of different CMS systems. Drupla, Joomla, DotNetNuke, WordPress. You have no reason to know, or care, what this means. 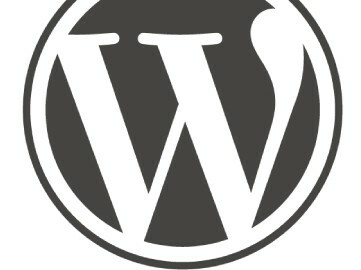 I use one called WordPress. It is the world’s most used, and the one largely regarded as being the most user friendly for the ‘back end’. It currently powers 18% of the web. The additional benefit to a web designer is, these systems come with a number of the website’s core functions already built in. Allowing the web designer to concentrate on the visual side of the website. SEO stands for ‘search engine optimisation’. This is the ability for the website to rank highly in search engines. To rank highly on Google when a potential visitor to your website Googles either the name of your business, or the services you provide. Recently this area has become much more simple as Google has changed the way it rates sites to a much fairer system, whereby good quality content, and regular new content, are the best ways to aid your site’s google rating. There are other areas that are important. The title, description and keyword phrases being added to each page. Plus using the keyword phrases (the phrases you think potential customers will Google to find you) through your pages’ content. By way of example. Take this article, or ‘post’ as WordPress prefers to call it. The URL (The page’s address) https://iaincameron.dk/a-guide-to-choosing-a-web-designer/, the page title is ‘A guide to choosing a web designer‘, and dropped through the content is ‘choosing a web designer‘. Good phrases for anyone googling ‘choosing a web designer‘. ‘Choosing a web designer‘ is also in the page’s external title (the top of your browser). Why on earth do I keep repeating the phrase, ‘choosing a web designer‘! A blog within a business website is something I recommend to all my clients. A blog is simply a collection of articles on one page in reverse chronological order. The latest article is always on the top. This is very good for your site’s Google rating (see above) and allows your potential customers to learn more about you and your business. A blog can be a diary, an events page, a place for your opinions on your business area, a way to extend your brand, a place to give more information on your product(s), a way to provide support for your customers, and gain feedback through comments. There are any number of other potential uses. You are currently reading an article on my blog! There are free websites out there, you can set up your own relatively simple. You can learn through www.lynda.com or WordPress.org or just Googling what you need to know. There are companies who will charge thousands, and others who will charge a little, every month, forever. However if you come to me, I charge for the website, and we are done. A contract is agreed in advance, there are no extra charges. This will include 12 months support, where I will happily advise you, or help you with any issues. I will listen to your business needs, and your thoughts on how your website should be. I will ensure your website looks fantastic. I will ensure you rank highly on Google. I am a one person business. I am not aiming to get the Coca-Cola account. I understand, and have my own small business. With a number of years experience working in Web Design Bureaus, the same expertise, without the overheads. I see every piece of design I create as an extension of my business, and of myself. It is in my interests to ensure you are a satisfied customer, as you are my best source for my next customers, and through sheer personal pride/vanity! You can read more on web design from my web design service page, in particular why a responsive website is now essential. My web design portfolio is at the foot of the page. Internal and external links are also excellent for SEO!